Discussions over the last few years have raised awareness about the lack of diverse books in children’s literature. However, much more needs to be done. 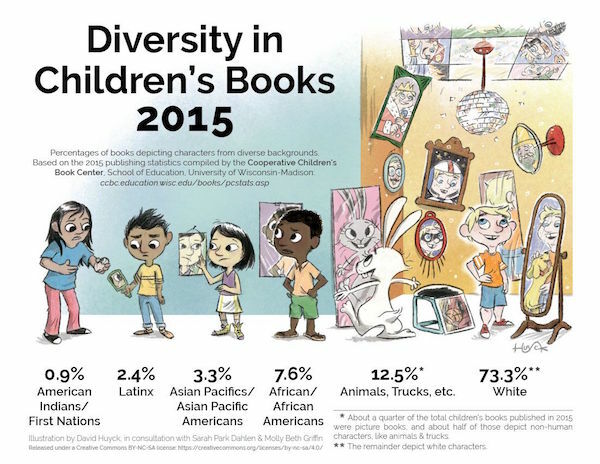 Recently, this infographic created by David Huyck in partnership with Sarah Park Dahlen and Molly Beth Griffin was released displaying astonishing data about race representation in children’s book publishing. As shown here, there are more books published about non-human characters than any category of people of color, with 12.5% of children’s books depicting non-human characters like animals and vehicles. These numbers become even more disturbing when compared to population data. 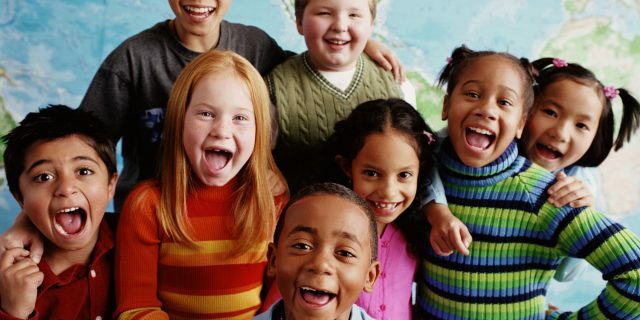 According to the United States Census Bureau, the population in 2015 for Black or African Americans was 13.3% and Hispanic or Latino was 17.6% of the total population. As you can see, only 7.6% of African American and 2.4% of Latinx characters are represented in children’s literature. This is a gross underrepresentation of these populations. The negative impact isn’t only on children of color when children’s books rarely reflect characters of color. White children who are not exposed to books with characters of other races are denied the opportunity to see people of color as main characters in stories. Allowing white children to read books where children of color are the heroes can help heal the systemic racism in our country by creating understanding and empathy in a new generation. As our country struggles with questions of police shootings of unarmed black men, immigration reform in the 2016 Presidential election, and the Native American protest of the Dakota Access Pipeline, it is more important than ever for our children to see people of color celebrated and normalized in literature. As the research shows, reading books helps create empathy and empathy helps break down barriers. 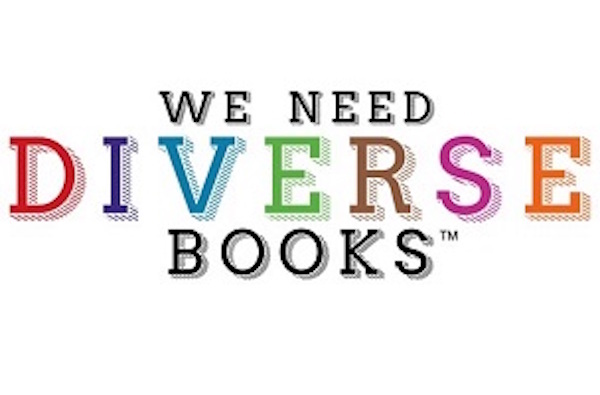 You can be part of this much needed change by raising awareness and supporting diverse books.